Just purchased the software. But am clueless how to use it and how to derive the maximum benefit out of it. Kindly mail me the links/articles which will help me understand the program and its concept better. The concept is simple. It is nothing more than a list of about 200 questions you answer in order. 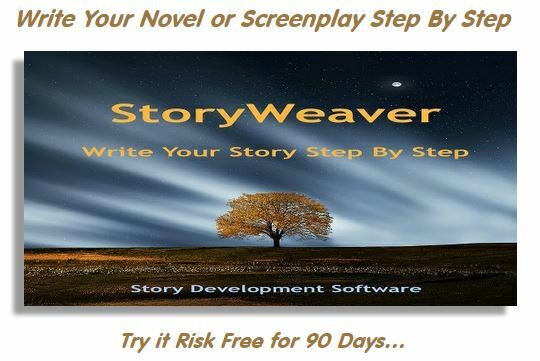 By the time you get through all 200 questions, you’ll have completely developed your story. Here’s how it works. You go to the list of folders on the left hand side of the StoryWeaver window. You open the top folder by clicking on it. You click on the first item in the folder and follow the instructions. You then go to the second item down in the folder and follow the instructions. When you finish with the items in that folder, you open the next folder down and do the same. Just work from top to bottom of the question list and you’ll go through them all in the proper order. What it does. 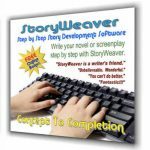 As you answer questions, StoryWeaver from time to time will automatically show you your answers to previous questions as reference to help you answer the current question. 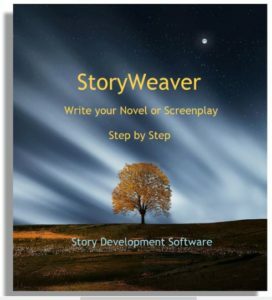 in addition, every few questions StoryWeaver will present you with all the material you’ve most recently developed and ask you to blend it all into a synopsis of your story so far. As you go, you will keep blending new material into that ever growing synopsis, which eventually becomes your fully developed story. Also, near the end, you will determine how you want to reveal your story to your readers/audience and it will help you outline all your chapters or acts and scenes. In the end (or at any time) you can print out all your work or export it to a file you can open in your word processor for further polish.